These days, the world is at your fingertips wherever you are. Anyone with a data connection and a smartphone has literally the entire Internet in his/her pocket. However, not all apps are created equally, in terms of the amount of data that they use in order to run. 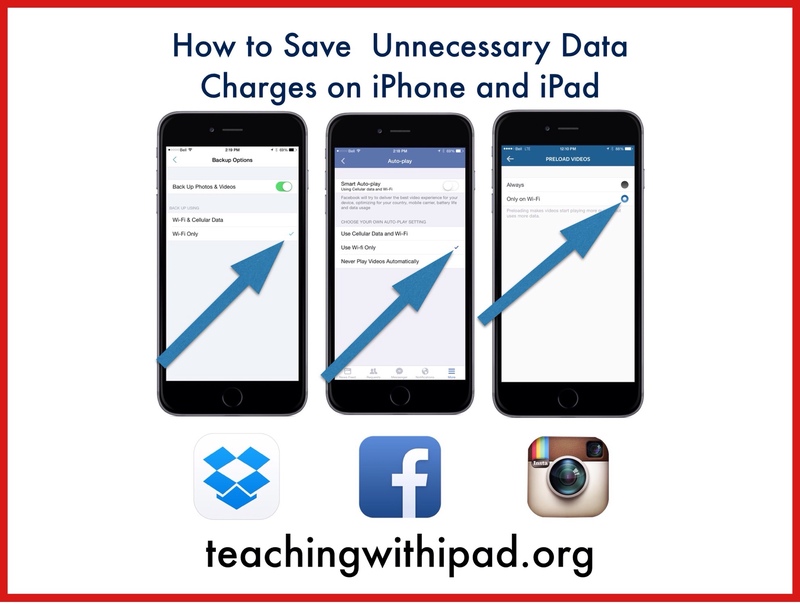 This is a quick tip on how to save your data usage (and potentially quite a bit of money). The following will be especially helpful if you do not have a large data plan (more than 1Gb per month). Both in Instagram and Facebook, we are seeing more and more videos that people upload (as opposed to just photos). Watching these videos while out of the house is probably not on top of your priority list. By changing a few settings, we can ensure that we don’t get charged for playing those videos while outside of WiFi.Videos can be enormous data hogs. This is why they warn not to watch videos (YouTube, Netflix etc.) when you are using data (and not WiFi). In each of the respective apps, go to Settings and turn off the automatic playback feature for videos. This will ensure that videos won’t begin playing when you scroll through your feeds. You will still be able to watch them if you want by tapping “play”. To check how much data each app has used, go to your device’s Settings>Cellular. Scroll down to see all the apps that you have. You will see, under each name, the amount of data used (since you started your contract). If you want to definitely avoid using data for any of the apps at all, toggle the button to “off” (the non-green). This way, you should not be surprised by any data over use. Obviously, some apps such as Maps are extremely useful while on the road, so you should consider leaving data on for those apps. You can reset these statistics at any time: Scroll to the bottom and reset. Also, while it is great that some apps such as Dropbox and Google have automatic backup of all your photos and videos that you take, I would highly recommend that you upload them while only on WiFi. Uploading videos would be a huge waste of data. Hopefully these tips will help some of you! Questions or comments? Please let us know in the comment section! Thanks for explaining what the memory designations mean on the Cellular Settings page as it appears in the screenshot (data used since the start of my contract). Apple can do a better job of explaining that.